Portland, Oregon, or “The City of Roses,” is a booming metropolis of over 560,000 people that retains a small-town feel, thanks to its many diverse neighborhoods, mixed-use city planning, and gorgeous natural beauty. The city itself was planned with its residents in mind, so it is very walkable, with short city blocks and central parks and plazas. With a wide array of local art, food, and crafts, Portland’s pride is what makes the city most interesting. 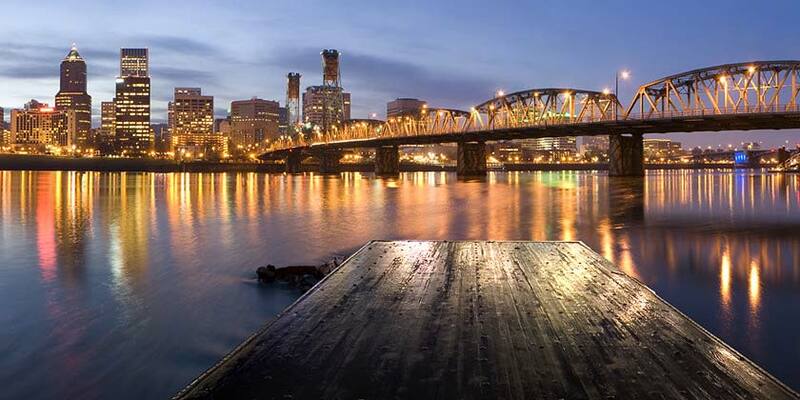 Discover unique shopping, dining, and theatrical experiences during your Portland vacation. Spend a day along Oregon's coastline, with headlands, beaches and historical lighthouses. Visit the quaint town of Astoria, and explore Cannon Beach. Experience Portland's world-famous beer culture on this fun bike tour. Follow your local guide on this easy bike ride, visiting microbreweries. On this small-group tour you'll explore the waterfalls of Columbia Gorge, spot wildlife, and tour the vineyards, with wine tastings included.